Wednesday - my day off from work. Lots to do today to get prepared for the upcoming days. I have been seeing several people fishing in the evening hours right before sundown. I presume they are trying for striped bass because it is time for the spring run of bass and bluefish into the river and oceans. That's a good sign for me and the SDC. However, the forecast, once again is looking lick crap and the wind and rain will be here later today. Talk about April showers. I have resolved to return to Mohawk Pond in Red Bank to see if any more trout are biting. Honestly though (and I didn't think I would say this) I'm starting to get sick of trout. I caught those 6 fish on Sunday morning and it seems like that has been all I have been living on. There's only so much more I can take - even with the butter. My plan today is to try some fishing for trout, get the kayak all cleaned up to prepare for an evening river kayak to search for some larger fish, get some seawater for salt and also start getting the boat ready for the upcoming fishing and hopefully crabbing. I can't wait for the crabs. It's not going to be for a few more weeks though - so I have to make due with some other stuff for now. Oh, and I also have get the grills all cleaned up and ready for some smoking if I catch some bluefish. See - lots to do. Starting with a trip to the pond, I got there around 8:30 and had a very hard time getting the trout to bite. I tried all the things that worked on Sunday - to no avail. Finally I got a bite on the powerbait and landed my first fish. After about 2 hours I managed another and I was spent. I also tried to hook this big snapping turtle that I saw swimming around the pond - no luck. I'm not sure what I would have done with it if I caught it anyway. I went home and cleaned the 2 trout that I caught - de-boned them completely like I had learned on the other fish. I put them in the fridge and now I have 3 trout in reserve. I also decided that was my last trip to Mohawk Pond. I'm done with freshwater fishing for now. All in all I did pretty well - especially compared to last year when I didn't catch a single trout. I cooked one up for lunch and then it was time to get started on some of my other projects of the day. The kayak was a dirty mess and it was filled with stagnant water from the melted snow from this winter. It was time for a complete overhaul. After draining all the water, hosing it down and scrubbing it up, I must say it cleaned up rather well. It's ready to go for the maiden voyage of 2011 which hopefully will be tonight. 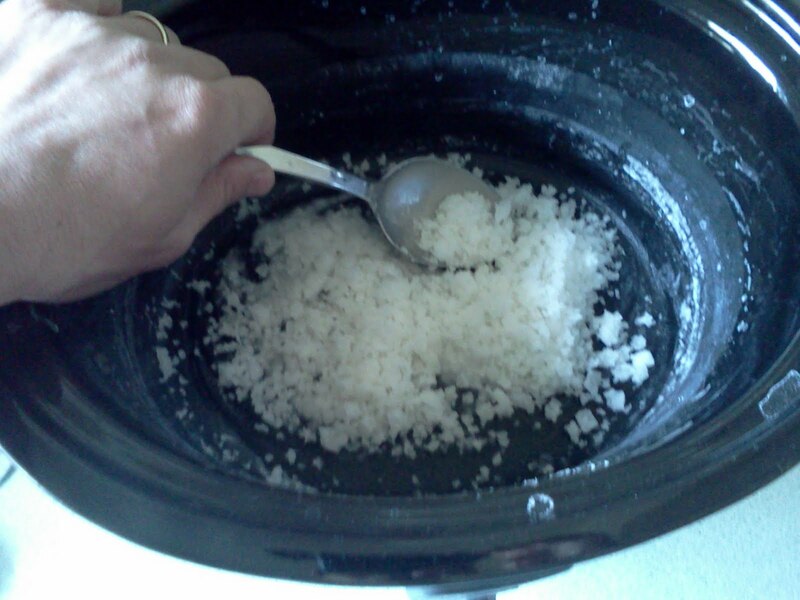 Next, I grabbed a bucket and scrubbed it well with soap and water and took a ride to the beach. I was shocked at the weather difference from my house to the beach. I only live about a mile away and the temperature was literally about 30 degrees colder with heavy fog and strong wind. I had just left my back yard with a bluebird sky and 75 degrees. The beach was no more than 50 with a heavy chill in the air. I thought I might get a couple casts in for a striper but the waves were ridiculous and I wasn't prepared for the cold. I walked out on the jetty with my bucket, filled it with seawater and high tailed it back home. This water was quite sandy and murky because of the sea swell so I knew I had to filter it first. I used a pillowcase as a strainer/filter over the top of another clean bucket and poured one bucket of water into another. I switch the strainer back to the first bucket and did it again. And again. Visibly, the water was clear at this point but after my first boil, I ran it through the filter again. This process takes a long time. It's late at night and the quantity of seawater is reduced by about half. 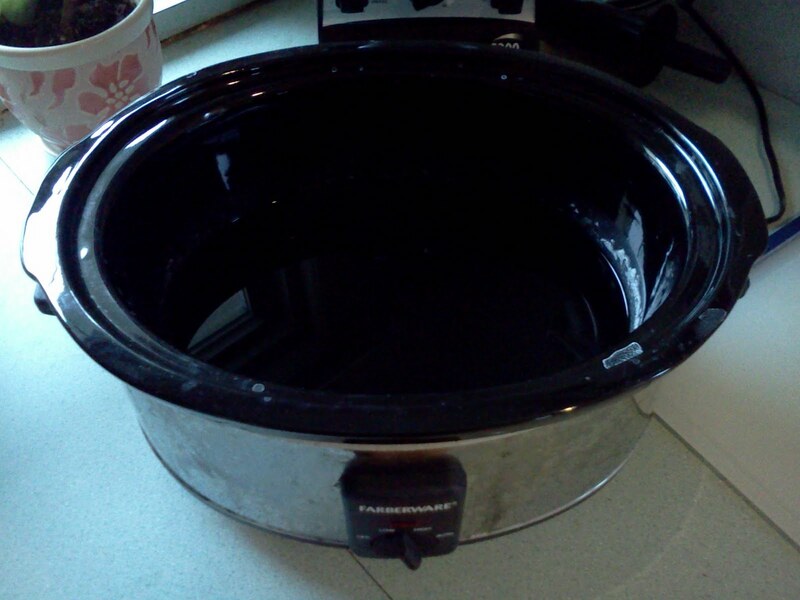 I decided to switch it from the pot (which was on the stove top over a flame) into my slow cooker which would slowly and steadily evaporate off the water leaving the salt. I am also going to experiment a little with making salt crystals. 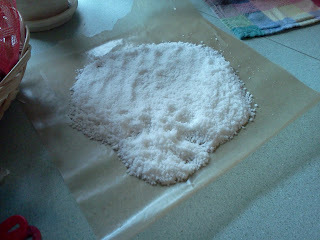 I watched a few videos about how to seed a salt crystal and I am anxious to see if it works. I need to boil it down until I have a supersaturated solution first - so maybe tomorrow. What else - oh, I spent a lot of time today getting the crab trot line equipment in working order. I've changed up the design a bit for this year and I hope that I have made improvements. Still need to put some of it together before the first crabbing expedition. And the boat is a disaster! I park it on a trailer and it sits beneath a big maple tree. Well, all of those little green buds have been falling off the trees and it has completely filled the boat with these wet, slippery little annoyances. Time for a major spring cleaning there. Not going to get to that til the weekend though. My plans for an evening kayak fishing trip have been superseded by the need to take Jamie to her softball game. See - that's another thing that the people on Survivor don't have to contend with. It's ok - the weather was too cold and windy anyway - I would have been miserable. That's all I have for today - I got a lot of prep work done and I can't wait for a break in this weather pattern. It's getting me down. Day 13 DP - Where are the fish? Day 8 DP - Pass da butta!